Do you struggle with Twitter? Do you struggle keeping up with how quick it moves? Just how do you monitor all the conversations, especially from the influencers & people you want to engage with? The simple answer is Twitter Lists! Twitter Lists, what are they? Quite simply, they are lists that you add specific people too. Lists are a great way to organise your followers, even those with a very large following are able to keep up and communicate with those that matter, just by simply using Lists in Twitter. Simply select Lists from the dropdown menu from your profile pic in Twitter. Lists are groups of users that you can create and add your followers to. You can name each one as you like and have them set to either Public or Private. Once you have some Lists set-up you can now click on these lists and it allows you to filter out all the noise around Twitter and listen and engage with the members of those lists. 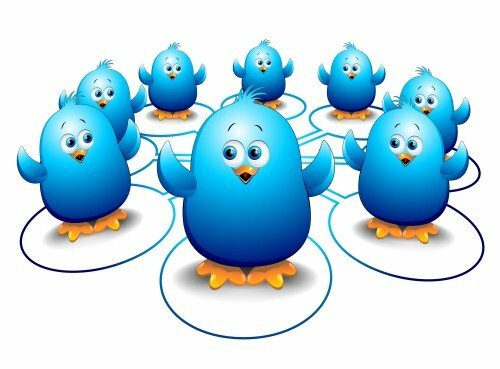 Interact with your influencers – This strategy is key to any success with using Twitter. Twitter Lists are a fantastic way to monitor important people within your industry who are active on Twitter. By adding these people to your Lists you are basically blocking out all the noise that may just be distracting you from seeing their Tweets and interacting with them at a crucial time. Latest news in your industry – It may be the case that you just want to keep up to date with all the latest news within your industry, Twitter Lists are ideal for adding those organisations within your market place and regularly monitoring them for breaking news. List colleagues, suppliers and clients – Make separate lists of your colleagues, your suppliers and your clients. By doing this you are making it easy to talk with and engage with those that are important to your business. I would even create one called Prospects and add possible new clients to it and use this to engage and build up the relationship with them. Retweeters are VIPs – Make a list of those that retweet your Tweets, you need to look after and nurture these people! If you are making the List Public then I would name it something along the lines of Special Tweeps or VIP Tweeps rather than just Retweeters, make them feel special and loved as they will be notified when you add them to a public list. Spy on your competitors! – Definitely make a List of your competitors, within business you should always be keeping a close eye on the competition and Twitter is no different. You don`t need to follow them to add them to a List. Just make sure to make that List a Private one! Who do you engage with? – Make a list of those you talk to on a regular basis, these people are key in helping with your visibility on Twitter. By adding them to a List you are making it easy to follow their conversations and join in. Add yourself! – Yes, that`s correct. Add yourself to a List. The reason to do this is that you ensure that your tweets are visible to those people who have subscribed to that List, helping you increase your exposure. Do you network? – Make sure you create a List for networking events, use those business cards and add other attendees and people you met to this List. It will help you interact easily with them and build on the relationship. If you have any questions or need any further help please feel free to get in touch.